Though London is entirely a great place and has always been the center of attraction for the visitors who tend to head on here from far and wise places. If you are also looking ahead to plan your visit here, then make sure that you check out some places that are more friendly. Being potential visitors, it’s important to consider the places that make a better choice to live in. Thus, here we are going to brief you a bit of things about Beaufort Park that nowadays is the most preferred place among students, tourists, and other corporate individuals. What residents feel about Beaufort Park? According to the research carried out on Beaufort park, according to the residents, the city is a tidy, peaceful, clean, safe and secure and is surrounded by the highest quality shops along with open spaces and homes it would be a great idea to have Beaufort Park Flats for Rent or Lease. Residents revealed that there is a high feeling of safety in Beaufort Park on the day, but concern about the safety in the wider areas, especially in the nights. They said that this place has the strong local identity and thus there are higher levels of residents who are intending to remain in the neighborhood for a number of years. The survey also reported the levels of relations with the neighbors that are in line with other similar areas. In the Beaufort Park, this is a positive result from the levels of neighborliness are already analogous to those of a conventional commune. Residents have the full positive hope that life at Beaufort Park will be more improved in the future and residents will have move opportunities to be socialized to make their local connections. It has been identified that residents are concerned about their safety in the wider areas so they would like to see the pedestrian crossing on the Aerrodrome Road along with the more local bus services and another GP practice and health centre in the area. Where do the residents go and what they do in Beaufort Park? The average time that jobbers have to spend commuting their workplace is just 34 minutes that is almost identical to the Barnet average of 35 minutes. There are 12% of respondents have to spend less than 10 minutes to reach their workplaces. For the shopping experiences of residents, Brent Cross is the place, followed by the central London. There are approx 27% of the residents who go for their regular household shopping and 80% of their convenience shopping at the neighborhood store which is most likely to be the small Tesco at Beaufort and it’s the nearest one too. 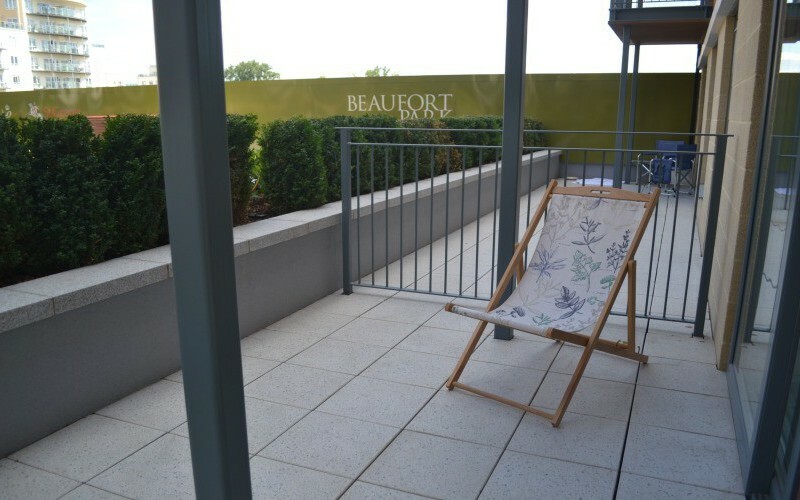 So, in other words, life at Beaufort is quite soothing now except a few safety issues in wider areas that would for sure be improved in the future.